After interacting with a number of readers and consumers, many don't think self-driving cars have a realistic chance of hitting the streets. At least, any time soon. I can't believe their line of thinking -- it's so incredibly naive to the developments happening in autonomous driving. But I'm here to tell you that it will be. There's hundreds of technology and auto companies working on improvements, ranging from startups to some of the biggest companies in the world. There are too many lives to be saved and quite frankly, too much money on the line to not allow autonomous driving to come to fruition. It will make driving more efficient and ultimately, far safer than the roads we navigate today. So why and how should you invest in the self-driving car trend? For starters, it will be a gigantic growth industry for a number of players. That trend is happening right now, with developers, automakers and programmers all working toward a common goal. Millennials and younger investors with decades to go before retirement should surely want in a on a piece of the autonomous driving pie. Nvidia Corporation ( NVDA - Get Report) , which is a holding in Jim Cramer's Action Alerts PLUS Charitable Trust Portfolio, is our first pick. The company doesn't live and die on autonomous driving and in fact, much of its explosive growth over the past few years isn't even based on autonomous driving yet. But that hasn't stopped Nvidia from crafting some incredible products. Computing power used to be one of the biggest hurdles to autonomous driving. At least, that's what Danny Shapiro, Nvidia's senior director of automotive, told me during the Detroit Auto Show earlier this year. But that obstacle has been tackled. Now it's about software. However, Nvidia is working on that too. It's new DRIVE Constellation platform, which was debuted just a few weeks ago at Nvidia's GTC conference, allows synthetic testing for autonomous driving. In a nutshell, developers can train their self-driving vehicle programs in closed, synthetic environments, allowing users to get all of the benefits of real-world testing without having to put a car out in the real world environment. That's a huge value addition to companies working with autonomous driving. It also allows Nvidia to act as the backbone to autonomous driving without having to battle for actual market share in the automobile market. Retirement Is Complicated. It's never too early -- or too late -- late to plan for and achieve your retirement goals . TheStreet's new premium subscription, Retirement Daily, will help you un-complicate the world of retirement with the latest, news, research and analysis from TheStreet's "Mr. Retirement" Robert Powell and his team of experts. Learn more about Retirement Daily and get a free trial subscription. Alphabet Inc (GOOG - Get Report) (GOOGL - Get Report) is another name that should be on investors' radar. Like Nvidia, Alphabet is also a holding in Jim Cramer's Action Alerts PLUS Charitable Trust Portfolio. The company's self-driving car unit, Waymo, is the one of the pioneers in the self-driving car space. Backed by Google, it was one of the first companies to put significant resources into autonomous driving efforts. Some analysts have valued Waymo at more than $70 billion, while the company is now working on deals with companies like Honda Motor Company (HMC - Get Report) and Fiat Chrysler Automobiles (FCAU - Get Report) . Like Nvidia, Waymo doesn't have a vehicle lineup of its own to deploy the technology. Like Nvidia though, it must partner with a number of automakers in order to be successful. 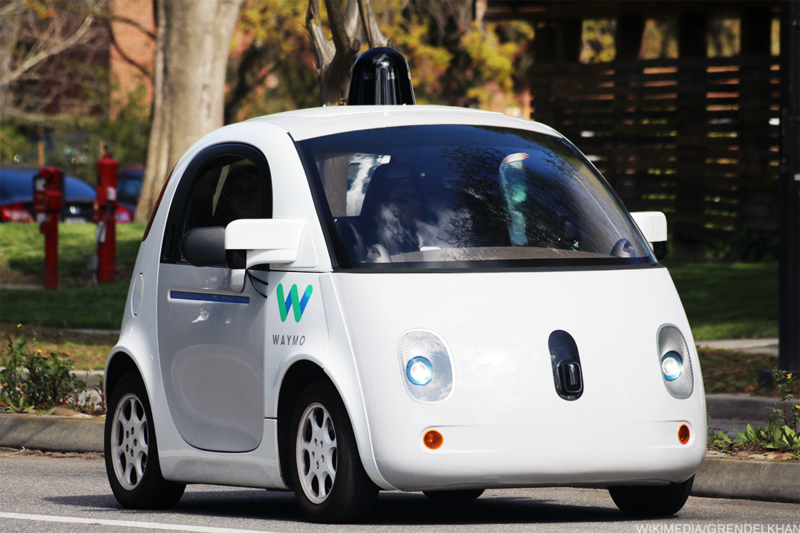 While automakers' own work in self-driving cars could hurt Waymo, the latter is banking on its pioneering experience to help it gain partnerships. General Motors Co. (GM - Get Report) does not have the type of broad reach that Waymo has, nor is its technology the backbone to autonomous driving. But what it does have? Automobiles. While the technology that goes into autonomous driving will no doubt be highly profitable for a number of companies, they need automakers to use it in order for it to work. So why GM over the others? Management has a plan that will allow it to massively leverage self-driving cars in just a few years. It wants to introduce an autonomous driving taxi fleet to dense urban environments, possibly as soon as 2019. Rather than the average selling price of a GM vehicle garnering somewhere in the high-$30,000 range in revenue, these self-driving taxis can generate hundreds of thousands in revenue. That could be a boon for GM's top and bottom line. As for the stock, it could allow for multiple expansion. Given that GM stock trades at about six times this year's earnings, there's a lot of room for expansion. Throw in the low valuation and 4% dividend yield and GM makes even more sense as a portfolio holding. Those attributes, along with a much larger scale, make GM a more attractive holding than Tesla Inc. (TSLA - Get Report) for many investors.